DAMASCUS (Sputnik) - The Syrian Foreign Ministry responded to the statement issued by the US-led coalition partners that refused to take part in the reconstruction of Syria noting that these states are not invited to contribute to the reconstruction after those war crimes committed against the Syrian people. 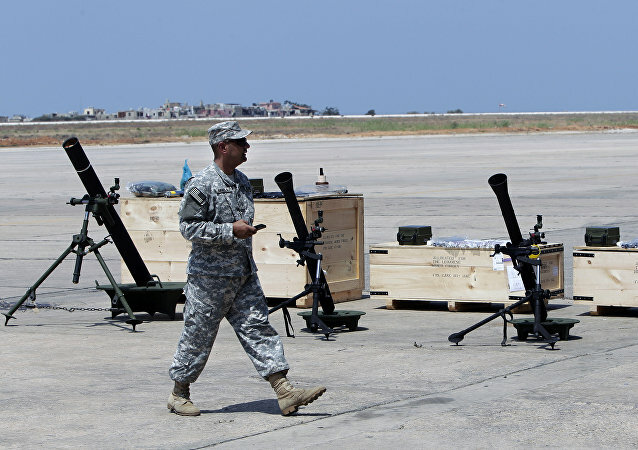 MOSCOW (Sputnik) - The US military are planning to keep nearly 1,000 troops in Syria, the US-based media reported on Sunday, citing US officials. 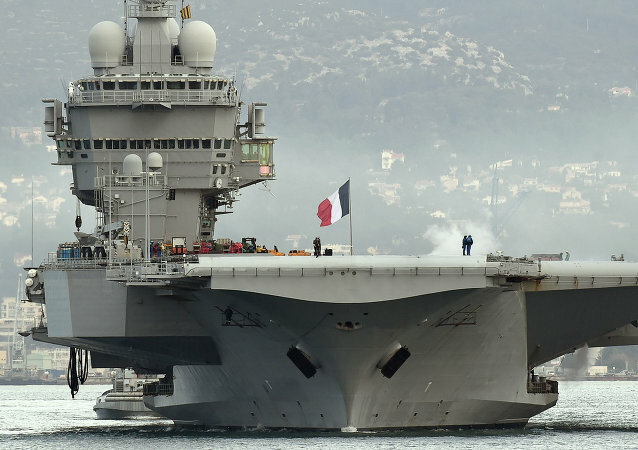 WASHINGTON (Sputnik) - The French Navy’s aircraft carrier Charles-de-Gaulle and its strike group have joined the operations of the US-led coalition against the Daesh terror group, the US Central Command said in a statement. 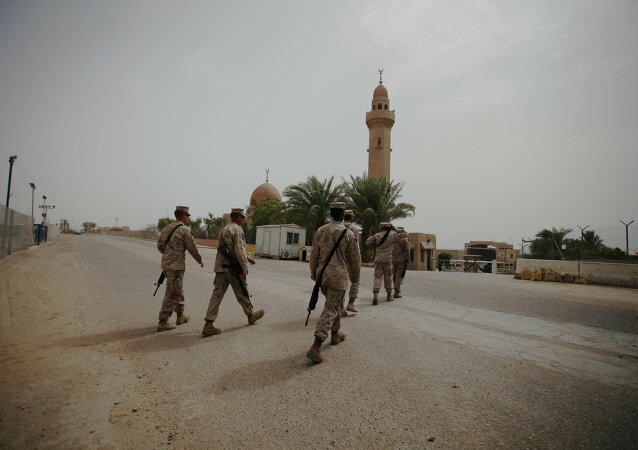 WASHINGTON (Sputnik) – Acting US Defense Secretary Patrick Shanahan and Jordanian King Abdullah II confirmed their countries' strong defense ties and continued commitment to destroying the Daesh terror group, the Department of Defense said in a readout on Monday. 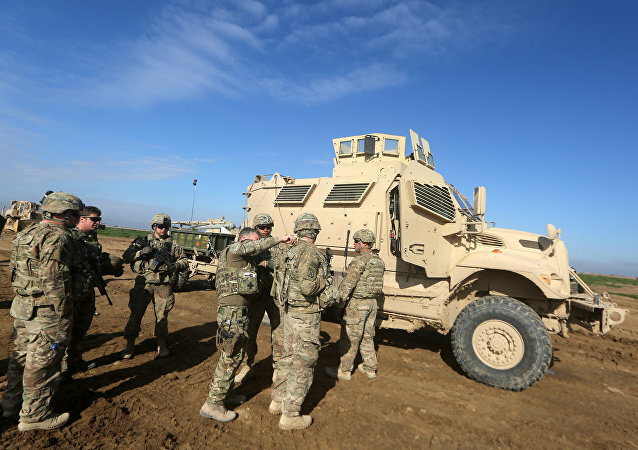 WASHINGTON (Sputnik) - The US-led coalition fighting the Islamic State terror group has not seen any evidence of civilian causalities incurred during the recent airstrike on the Syrian village of Baghuz, Colonel Sean Ryan, a spokesperson for Combined Joint Task Force-Operation Inherent Resolve (CJTF-OIR), told Sputnik Monday. 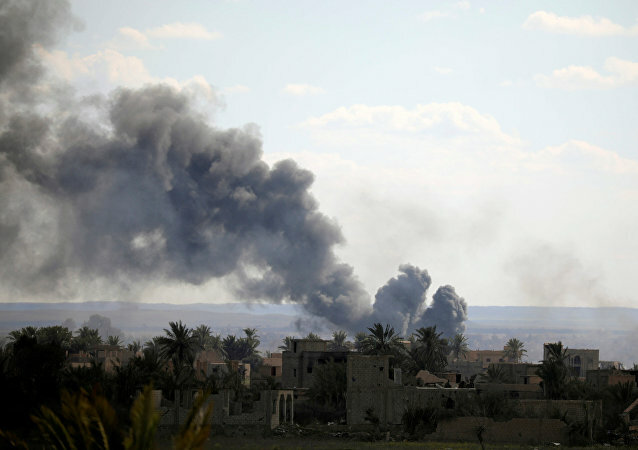 Earlier in February, Syrian media reported that air strikes by the US-led international coalition on a refugee camp in the Syrian village of Baghouz in the country's southeast had killed or injured at least 80 civilians in two days. 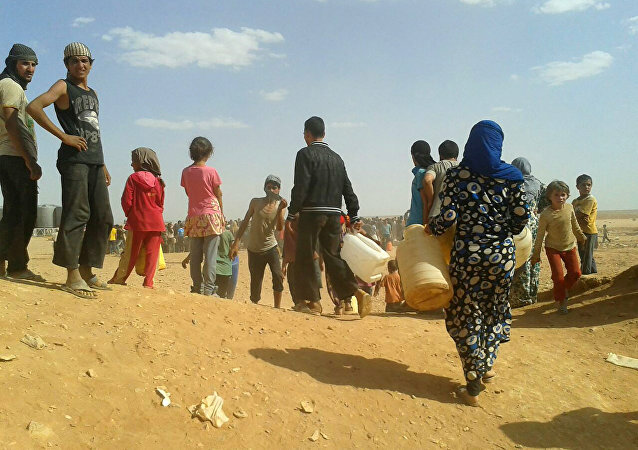 MOSCOW (Sputnik) - The United States is contradicting itself with its stance about the return of refugees from Syria's Rukban camp on the Jordanian border and has put forward conditions for the return of people residing there, the heads of the Russian and Syrian Joint Coordination Committees on Repatriation of Syrian Refugees said in a statement. 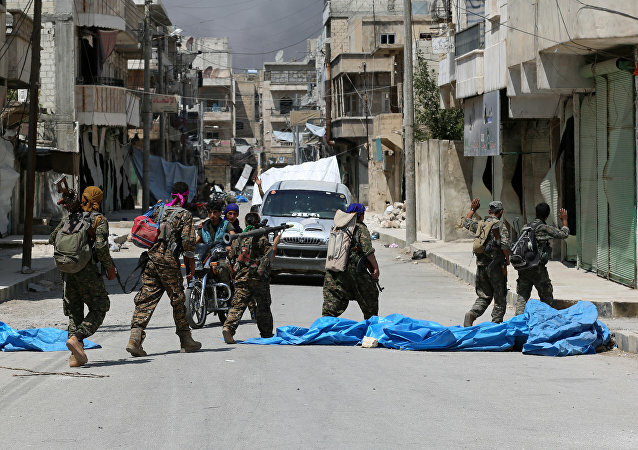 The news comes after the US-backed Syrian Democratic Forces (SDF) announced that they had resumed operations against Daesh militants in Baghouz, following a break for citizens' evacuation. DAMASCUS (Sputnik) - The US-led coalition has used shells with white phosphorus in its bombing attacks on the southwestern Syrian town of Baghouz, which remains the last stronghold of the Daesh terror group in the country, local media reported on Saturday, citing sources. 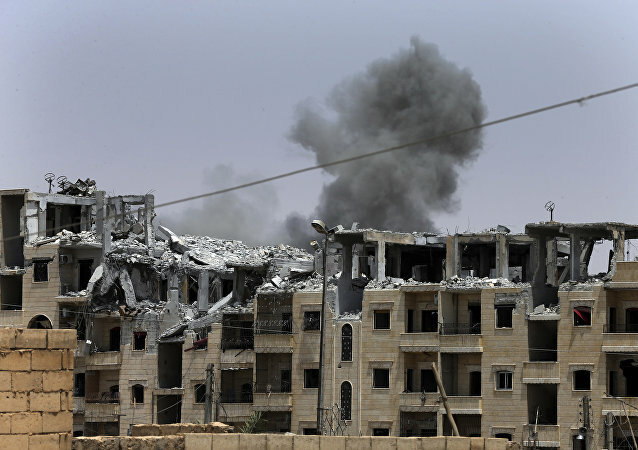 On Tuesday, Syrian media reported that air strikes by the US-led international coalition on a refugee camp in the Syrian village of Bagus in the country's southeast killed or injured on Tuesday at least 70 civilians. 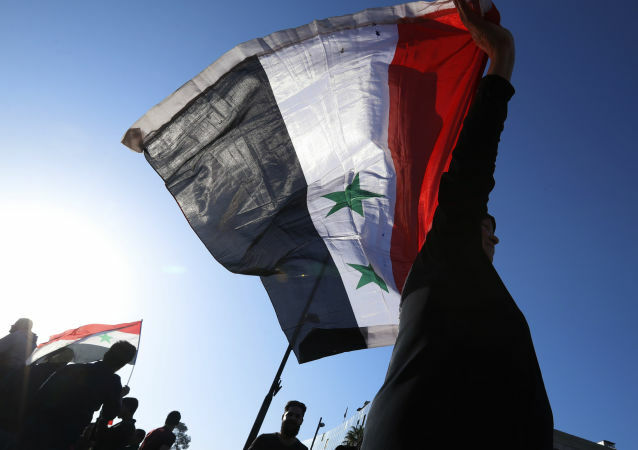 MOSCOW (Sputnik) - More than 2,000 Syrian civilians took part on Monday in a rally opposing the presence of the US-led coalition in the country, the Russian Defense Ministry’s Center for Syrian Reconciliation said in a daily bulletin. 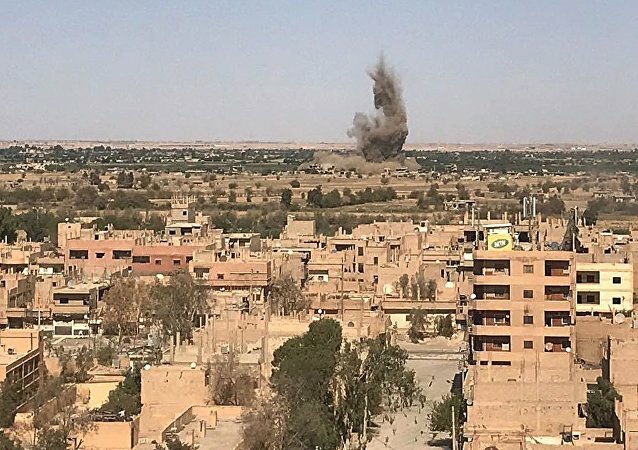 According to the Syrian state broadcaster Ikhbariya, citing local sources, the US-led coalition struck the town of Baghuz in Deir ez-Zor province on Monday. The airstrike claimed the lives of 16 civilians, including seven children, Ikhbariya reported. The Iraqi Ministry of Defense posted video footage of their forces and US allies conducting airstrikes against Daesh* terror group remnants. ANKARA (Sputnik) - Certain members of the US-led coalition fighting against Daesh* support militants from the Hayat Tahrir al-Sham* terrorist group in the Syrian province of Idlib as they are aspiring to wreck the Russian-Turkish agreement on de-escalation zone, Turkish Foreign Minister Mevlut Cavusoglu said Thursday. On 22 January, the Ikhbariya TV channel reported that coalition jets killed several civilians who were fleeing Baguz in Deir ez-Zor Province. WASHINGTON (Sputnik) - The US-led coalition is investigating whether an attack out on January 22 caused the deaths of civilians in Syria, Operation Inherent Resolve-Joint Task Force said in a statement on Friday. Turkish President Recep Tayyip Erdogan stated that the terror attack in the Syrian city of Manbij which took place earlier in the day has claimed the lives of at least 20 people, including five US soldiers.